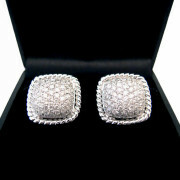 A gorgeous pair of 18ct white gold, cushion shaped earrings pave set with round brilliant cut diamonds. 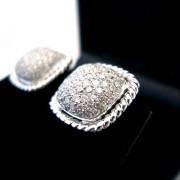 The design not only boasts 170 diamonds at 0.96ct total weight, but also a beautiful 18ct white gold rope detailing around the edges of the cushion shape. 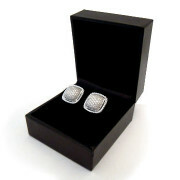 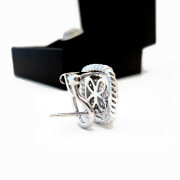 The earrings are equipped with a stud/clip fitting.